From 2023 to 2030, Ramadan will occur during the months of April to January. As such, Gulf Cooperation Council (GCC) member states, such as UAE, Qatar, Oman, Bahrain and Kuwait, which are already Muslim friendly, also become attractive destinations from a day-time temperature and fasting duration criteria. North African destinations such as Morocco and Tunisia, in addition to Egypt and Jordan, will also rise in the rankings. 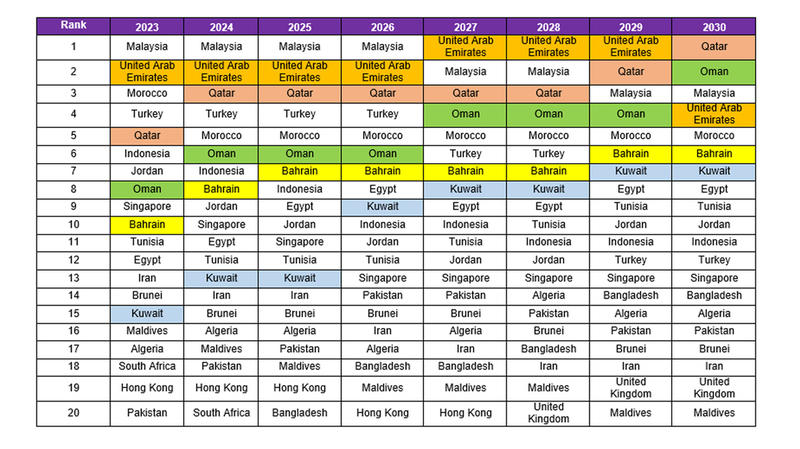 While only two GCC member countries, United Arab Emirates and Oman, are present in the top 10 rankings in 2016, this is projected to significantly change as the years progress towards 2030. 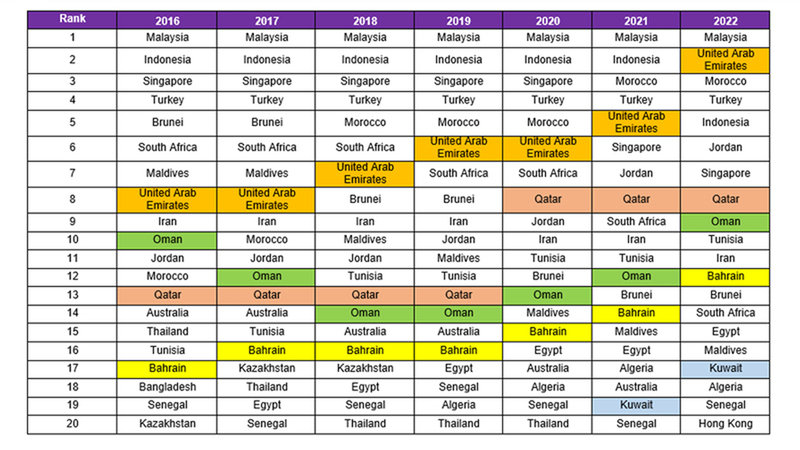 In 2030, in addition to Saudi Arabia, it is projected that half of the top 10 most attractive destinations for Muslim Travelers in Ramadan will be from the GCC destinations such as UAE, Qatar, Oman, Bahrain and Kuwait. Offer unique stopover products for passengers traveling to Umrah. This is an opportunity for GCC-based airlines such as Emirates, Etihad and Qatar airlines. Continue to have more and more Muslim friendly services and facilities. This will improve GMTI scores and maintain strong rankings in order to ensure that GCC destinations remain Muslim friendly in Ramadan in the years to come. Develop strategic plans to offer new products and services that will attract travelers during these years. This could also include business travel market. Develop destination marketing efforts which synergise and focus on welcoming Muslim travelers to these destinations.